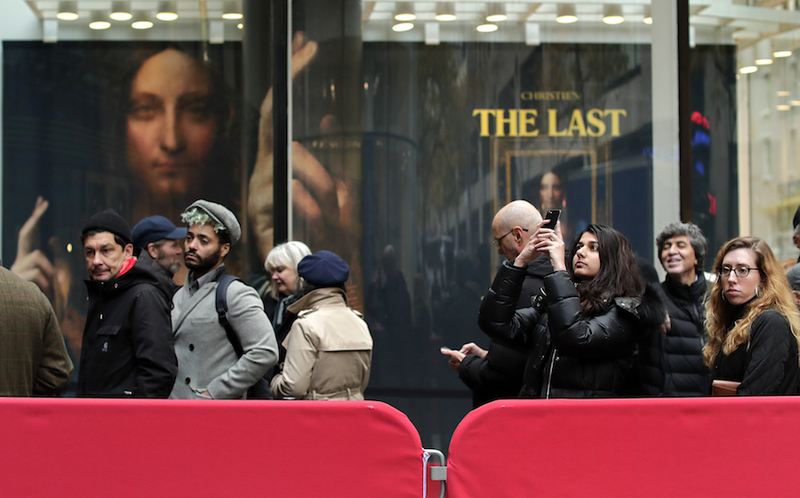 MANHATTAN (AP) — A painting thought by scholars to be one of only a few by Leonardo da Vinci to have survived the half-millennia since the artist’s death is set to be auctioned Wednesday in New York, where it is guaranteed to sell for at least $100 million. Art lovers have lined up by the thousands at special presale exhibitions in Hong Kong, San Francisco, London and New York to see the only work by the Renaissance master in private hands. 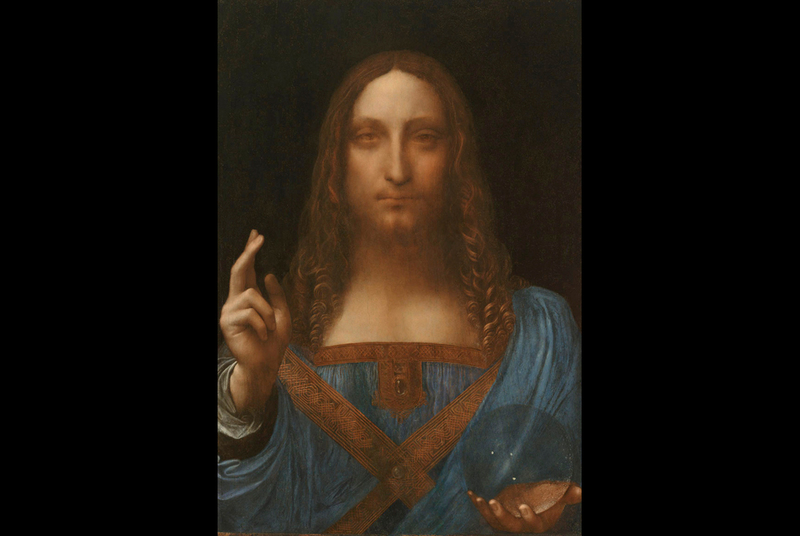 The 500-year-old oil painting depicting Christ holding a crystal orb, called “Salvator Mundi” or “Savior of the World,” is one of fewer than 20 paintings by Leonardo da Vinci known to exist, according to Christie’s, the auction house conducting the sale. Wintermute called it “the Holy Grail of old master paintings.” A backer of the auction has guaranteed a bid of at least $100 million. Experts have said it might be worth more, except for its generally poor state of preservation and lingering questions about its authenticity. The 26-inch painting dates from around 1500 and shows Christ dressed in Renaissance-style robes, his right hand raised in blessing as his left hand holds a crystal sphere. “Salvator Mundi” was owned by King Charles I of England in the mid-1600s and was auctioned by the son of the Duke of Buckingham in 1763. It then disappeared from view until 1900, when it resurfaced and was acquired by a British collector. At the time, it was thought to be a work of a Leonardo disciple, rather than the master himself. The painting was sold again in 1958 and then acquired in 2005, badly damaged and partly painted-over, by a consortium of art dealers who paid less than $10,000. They restored the painting extensively and documented its authenticity as a work by Leonardo. The work’s current owner is Russian billionaire Dmitry Rybolovlev, who bought it in 2013 for $127.5 million in a private sale that became the subject of a continuing lawsuit. Christie’s says a majority of scholars believe it is a work by Leonardo, though some have questioned that determination while others have said it was so extensively restored that it is probably more akin to a copy than an original. Inside, Christ’s face seemed to light up the darkened gallery. The auction begins at 7 p.m. Wednesday.